What Does Divvy Do for You? Ever wonder how franchisors sustain their brand image and their business across numerous franchises? Maintaining brand consistency is one of the franchise industry’s biggest hurdles. Restaurants need standardized logos, vinyl banners, fliers, signage, menu designs, and more. Other franchised businesses strive for uniformity through business cards and other marketing collateral. Divvy Systems, Alexander’s brand management software was designed specifically for the franchise industry, and specifically to help businesses maintain their brand. 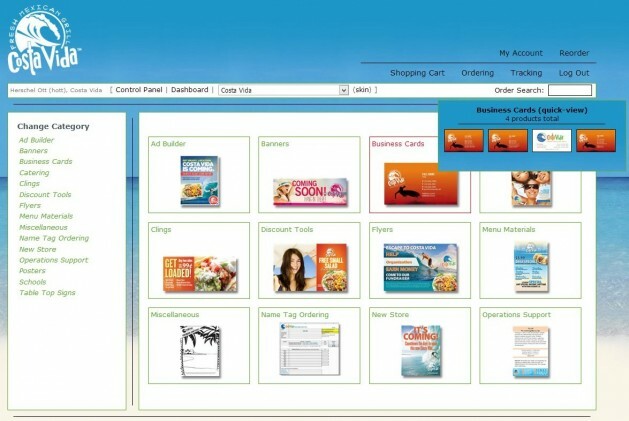 Divvy software allows franchisors to meet their own specific needs whether that involves products, pricing or minimums. Divvy will build your business a personalized online portal where you can standardize all your marketing collateral, whether its signs, business cards, floor graphics or vinyl banners. Individual franchisees can then order, 24/7 and have materials delivered right to their door. Each order is fulfilled through Alexander’s print shop where we have top of the line printing capabilities. Divvy also offers inbound marketing and social media engagement services. We live in a world where online content matters. This takes time and effort to manage. With Divvy, you’ll be able to build your franchise by streamlining management of online brand content in a consistent matter. Divvy will also help your franchise fill those public relations needs, perform search engine optimization, and build the franchise’s social media platforms. With Divvy’s automated brand management software, you’ll build your franchise, protect your brand, and leverage your strengths. Leaving the details to Divvy frees up both the franchisor and the franchisee to do what they do best.